Choose an exciting prize! Whatever prize that you decide on, make sure it’s something to get your audience excited about. It can be a product or service from your business or it can be unrelated to your business. Keeping your ideal customer in mind, choose a prize that you believe will help you see the best return. Set a goal. There are more goals to consider than just getting the most entries into your giveaway. 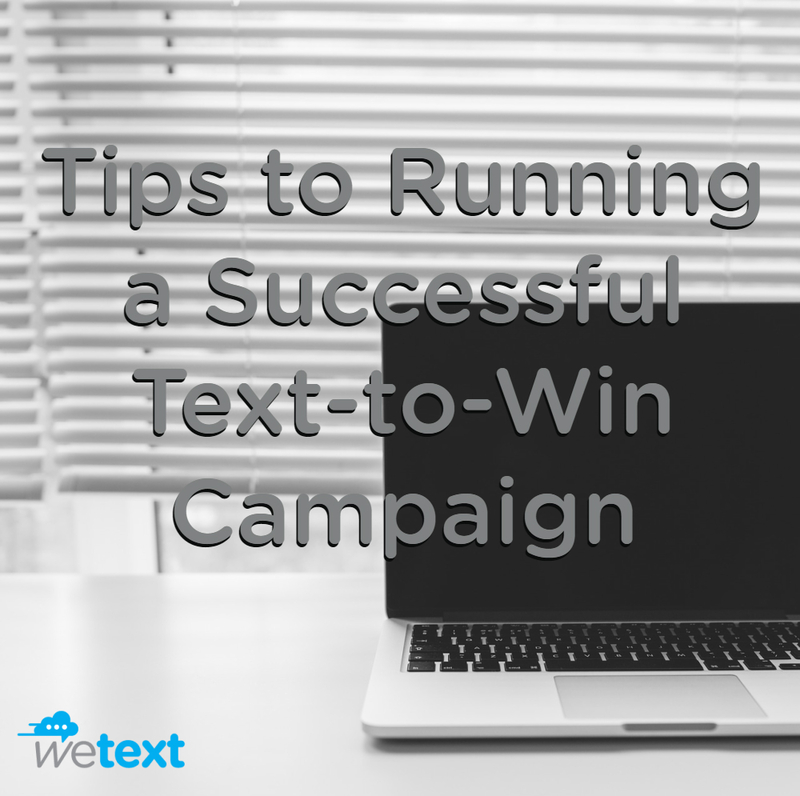 While many businesses will use a text-to-win campaign to build their database, even a simple goal such as introducing and selling a new product could be a route your business may want to go. Never start a new campaign without a clear goal in mind. Keep it short and simple. Don’t ask your subscribers for too much information when promoting your campaign. The more information they will need to provide, the less likely they will enter. Have a plan. Just like any marketing campaign, make sure you have a plan before beginning to promote. Are you going to use social media only? Are you going to have materials printed out? Are you going to utilize a radio or TV spot? Every outlet you use will help to get the word out on your campaign. Don’t leave your subscribers hanging! Asking your audience to opt-in to win something is one thing, but keeping them around is another. Forgetting to utilize text messaging means you’re missing out on other marketing opportunities! Send out a text message promoting a special discount. Deliver an event invitation just for your text subscribers. Make sure you’re using the power of texting! Have an alternate form of entering your giveaway. In order to make sure you’re following all the legalities, you must have another way for your audience to enter your giveaway if they do not want to opt-in. Something as simple as saying “Re-post this image with #Hashtag to enter” will cover that issue. Get started on your text-to-win giveaway by clicking on the FREE TRIAL button above! Have some questions? Send us an email to info@wetext.co.